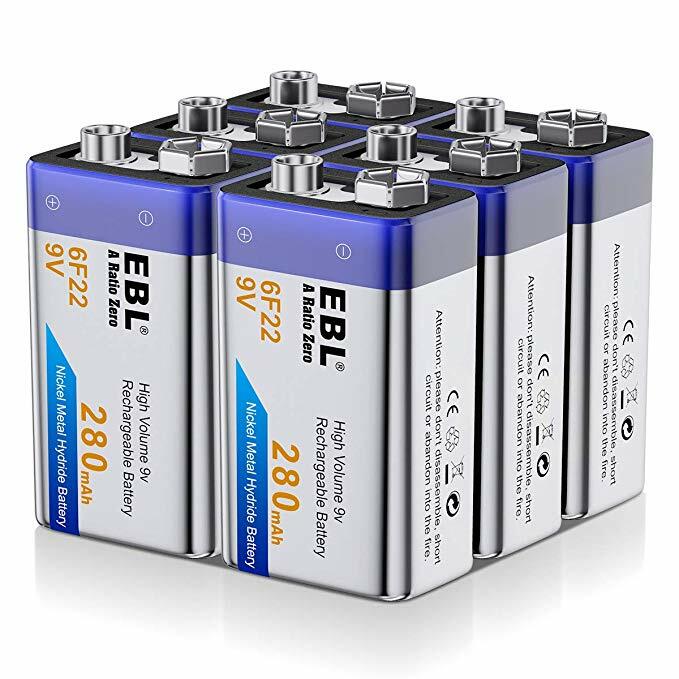 These 6-pack rechargeable 9V batteries are safe and efficient Ni-MH batteries. 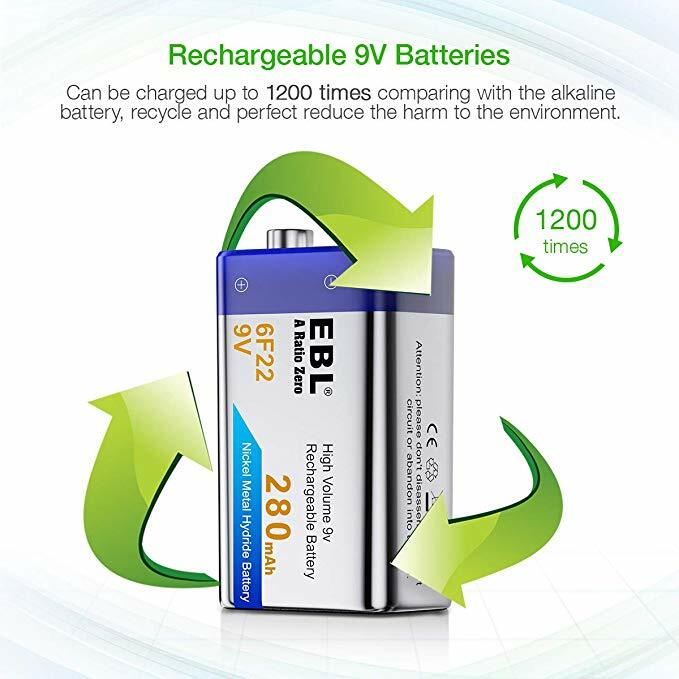 The 9V rechargeable batteries are strongly built with 280mAh capacity. 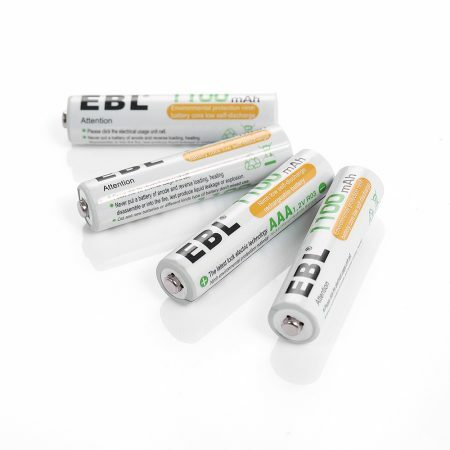 These batteries provide reliable battery power for your 9V-compatible devices. Up to 1200 recharge cycles let you enjoy the long battery service time. 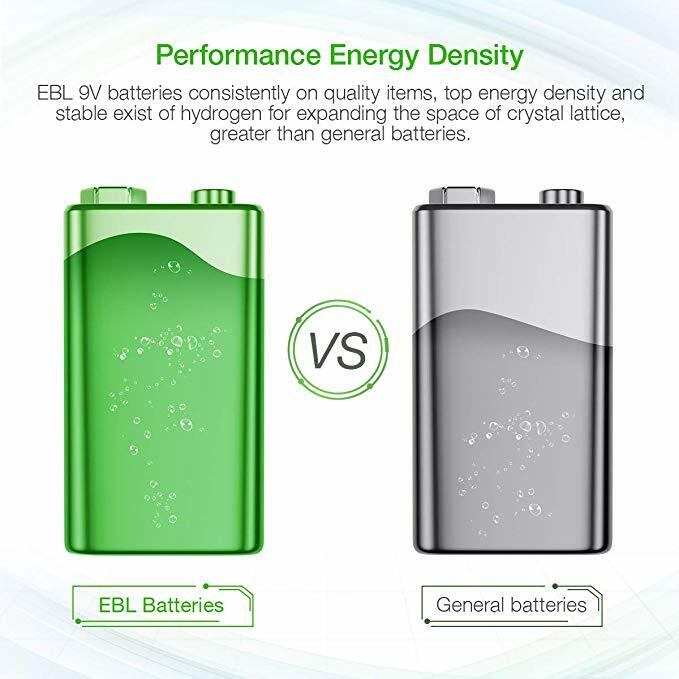 These batteries hold about 75% capacity for up to 3 years’ storage due to super low self discharge. 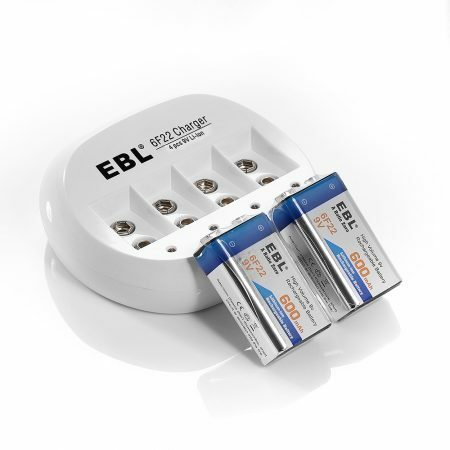 EBL rechargeable 9V batteries have great performance and excellent quality thanks to the improved battery cells. 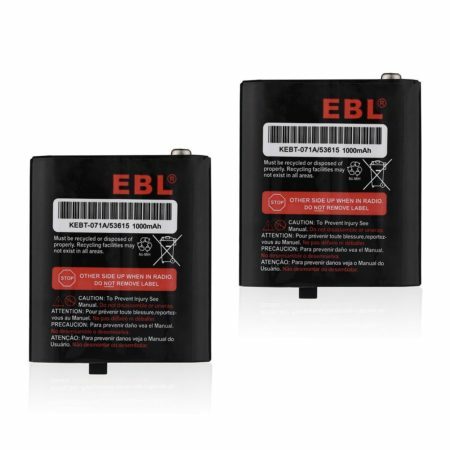 These 9V batteries are officially certified by CE and ROHS for the qualified battery specification and power. 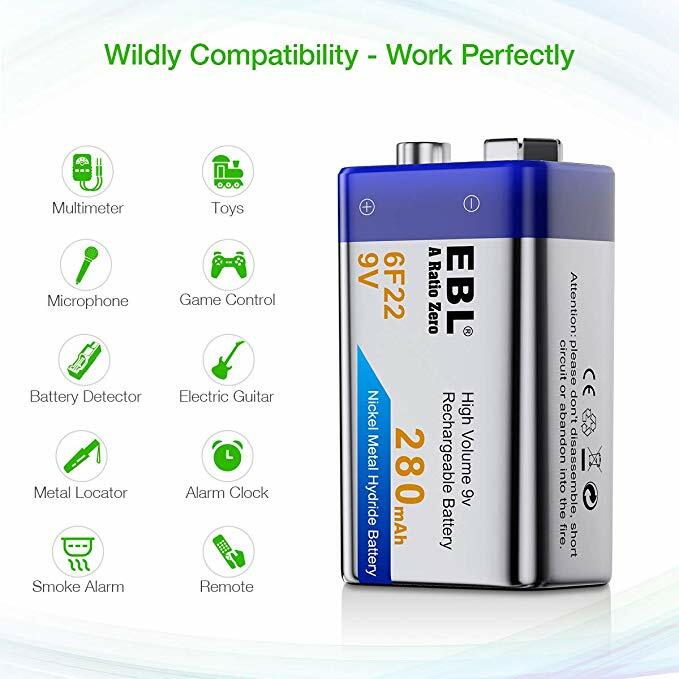 You can use these rechargeable 9 volt batteries for a great variety of frequently-seen devices at home, in workshop and in office. 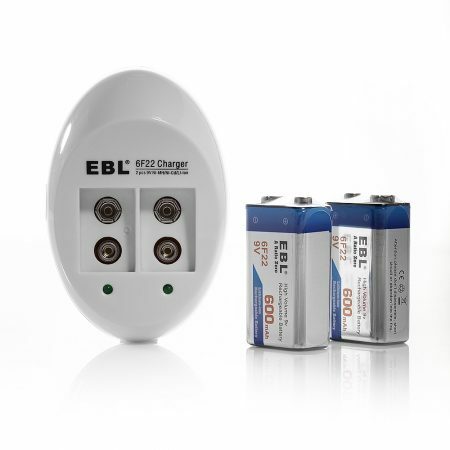 They are ideal to power walkie-talkies, wireless microphones, clocks, smoke alarms and radio controllers. 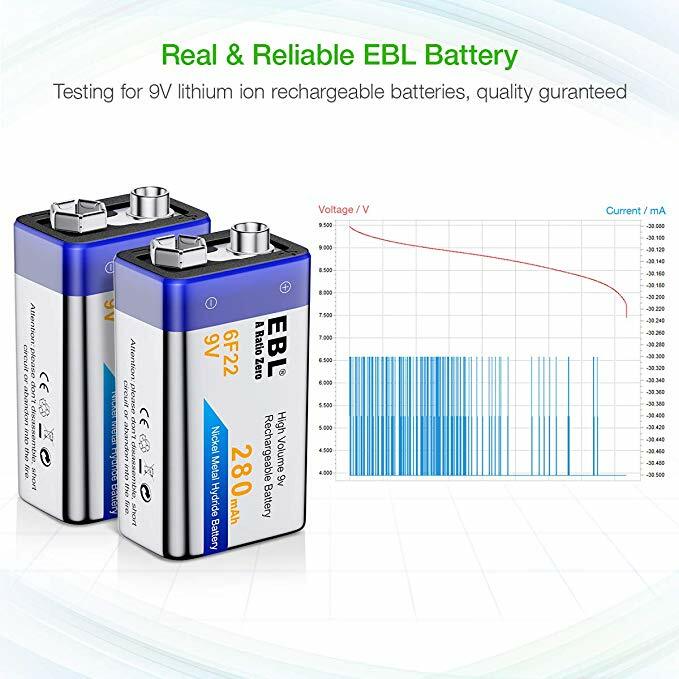 EBL 6F22 9V rechargeable batteries are made of most reliable Ni-MH battery cells. 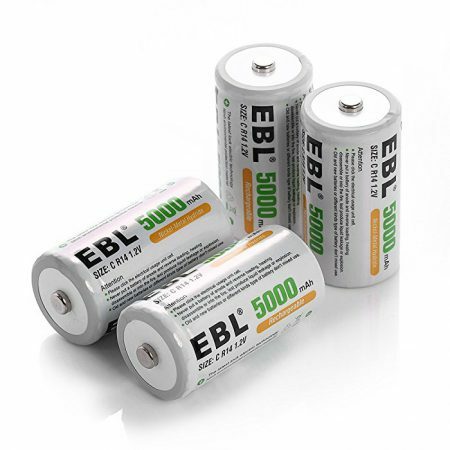 9-volt batteries are commonly used in the controllers of radio-controlled cars and trucks so that they are expected to be highly safe and efficient. 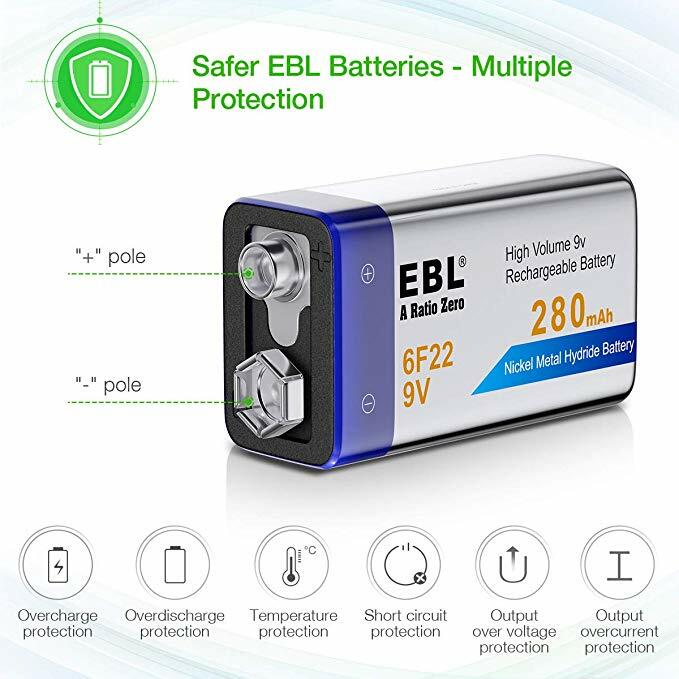 These 9 volts batteries full meet the safety standards. They can be charged conveniently without memory effect. They discharge themselves at super slow speed without battery leakage through years of storage.